The new trio of cocktails arrived just in time for Valentines Day. Photo courtesy of Perry's Steakhouse & Grille. 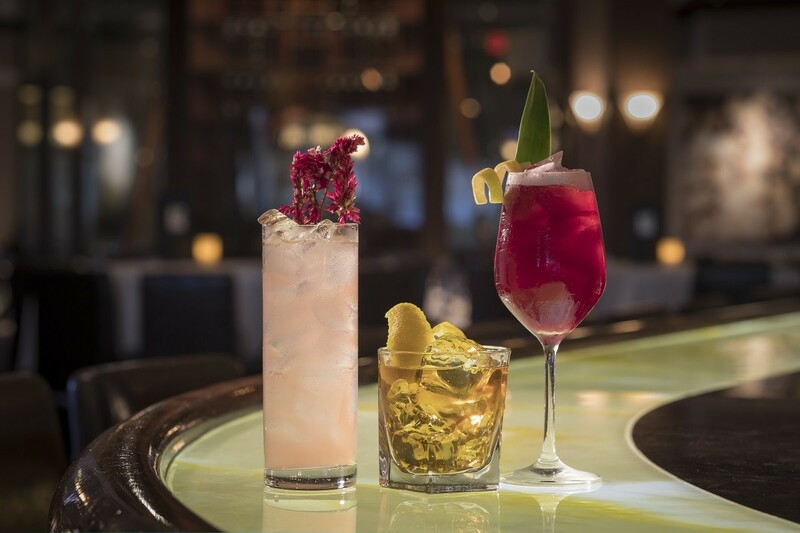 Just in time for Valentines Day, Perry’s Steakhouse & Grille has unveiled three new cocktails and paired them with small bites to complement each. The new additions, presented by corporate sommelier and beverage director Susi Zivanovic, are the Jameson Mocha Old Fashion (a little different than “Old Fashioned”) and two wine-based concoctions: Passionnut for Port and Rosé Collins. We were invited to sample the new items during a media event at the Memorial City location. The Old Fashioned is a staple cocktail. It’s the drink that I order when I visit a new establishment to gauge the quality of ingredients, pour accuracy and bar staff abilities. It’s sort of like ordering queso at a new Mexican restaurant or spaghetti and meatballs at a New York-style Italian joint. If a place can’t get the basics down, it’s probably best to ask for the check and make a fast exit. Traditionally, the spirit in an Old Fashioned is bourbon or rye whiskey but Perry’s chose to go Irish with Jameson Caskmates Stout Edition. The Caskmates edition is an award-winning collaboration with neighboring brewery Franciscan Well. The brewery initially uses the barrels to age its stout beer. When the beer is finished and canned, the barrels are sent back down the road to Jameson where the whiskey is added for aging. This adds notes of chocolate, coffee, marzipan and butterscotch to the traditional Irish whiskey, making it perfect for the Jameson Mocha Old Fashion. Perry’s then adds a housemade coffee simple syrup and mole bitters to create a cocktail that balances sweetness and nuttiness perfectly. 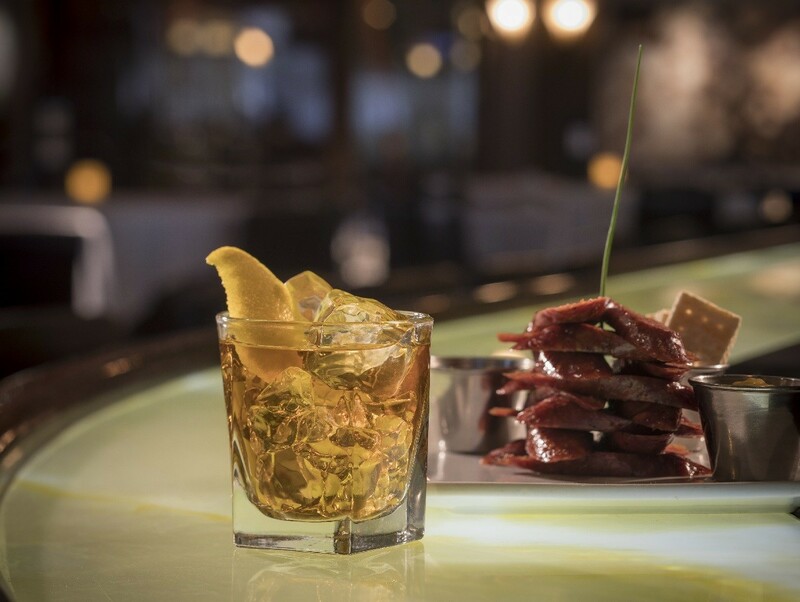 The Old Fashion was paired with Perry’s housemade Polish sausage, a favorite that dates back to the original Perry & Son’s butcher shop. Passionnut for Port combines Fonseca Bin 27 Ruby Port with coconut rum, passion fruit purée and fresh lemon juice. The cocktail is an eye-catching deep red. Ruby ports are full-bodied with an intense fruit flavor and sweetness but in this drink, lemon juice prevents the port from being too overpowering. 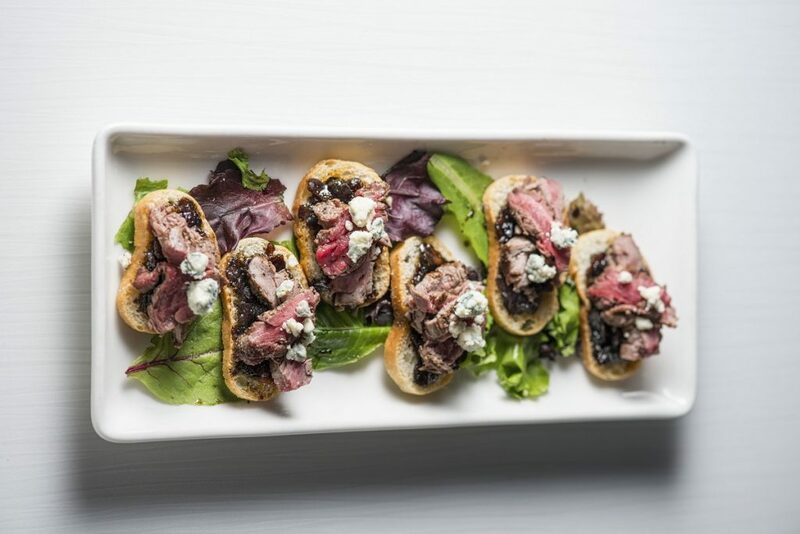 The Passionnut for Port was paired with the Beef and Bleu: crostinis with caramelized balsamic and onion reduction, rare beef and bleu cheese crumbles. The Rosé Collins pairs The Botanist Gin with dry rosé and fresh lemon juice. Most Gins are comprised of nine traditional botanicals; The Botanist is known for including an extra 22 from herbs and berries grown and picked locally on the island of Islay. Those add layers of flavor to the subtle, fruity rosé that our table likened to a perfect glass of pink lemonade on a warm day. The cocktail was garnished with a long-stemmed Firestix—an edible dried flower garnish, but with such a subtle flavor that it’s best left in the glass. The drink was paired with perfectly cooked bacon-wrapped scallops atop a decadent beurre blanc. The new cocktails can be ordered individually or as part of Perry’s Martini Flight—your choice of three cocktails in smaller serving sizes. Guests who prefer wine to cocktails can take advantage of Magnum Mondays, where 1.5 liter bottles of Perry’s Reserve Chardonnay and Cabernet Sauvignon are available for the extremely discounted price of $79 and $99, respectively.